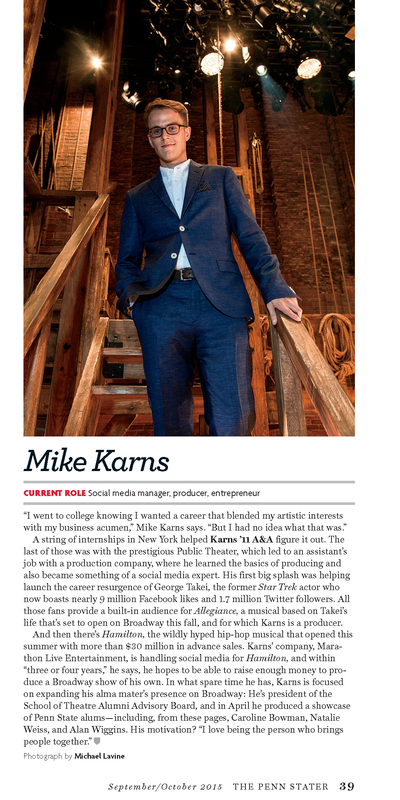 Wired published a story today on Mike Karns ’11, who you may remember from our Sept./Oct. 2015 cover story about Penn Staters on Broadway. 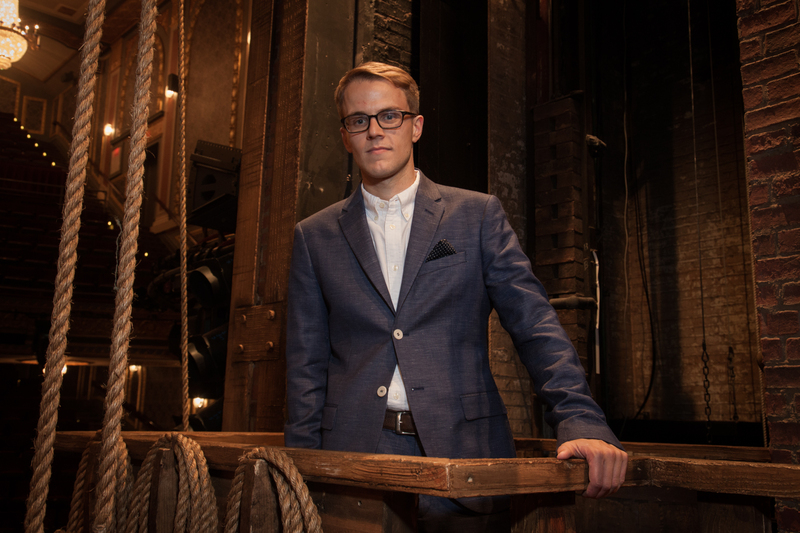 Karns does his work behind the scenes for Marathon Live Entertainment, where one of his responsibilities is handling social media for a number of shows, including the smash hit Hamilton. Wired wrote about how Karns has helped grow Hamilton‘s digital presence. In addition to running social media platforms like the show’s Twitter and Instagram accounts, Karns manages its YouTube channel, which features the popular #Ham4Ham series. These include, among other things, videos of special performances put on by the Hamilton‘s creator and star Lin-Manuel Miranda for fans who wait in line for tickets through the show’s lottery. For more of these live performances, head over to Hamilton‘s YouTube channel. And while you’re at it, check out Karns’ work on the show’s official Twitter and Instagram pages.